A split rail fence or log fence is constructed usually out of cedar timber logs because they are easy to split and rot-resistant. The logs are usually cut lengthwise into rails and typically used for decorative or agricultural fencing. Simple in construction, they can be assembled with few tools even on hard or rocky ground. You can even build these fences without using any nails or other hardware. They are particularly popular in very rocky areas where post hole digging is almost impossible. 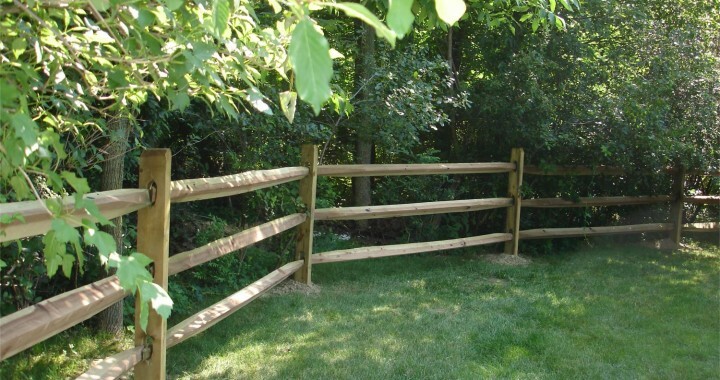 We can build your split rail fence 2′, 3′, or 4 feet tall.